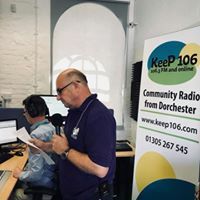 KeeP 106 is the new not for profit radio station for Dorchester and surrounding areas launching Summer 2018 on 106.3fm and online at www.keep106.com. Playing music from the last 40 years and local content, they will make sure to keep you informed and entertained. 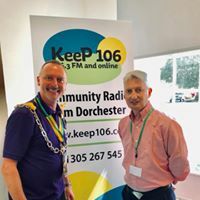 Thanks to KeeP 106 for sponsoring our July breakfast at Kingston Maurwood. We caught up with Andy Worth, the Chair of KeeP 106 and asked him some questions. What is KeeP 106 and what work do you do? Why are you setting up the station? 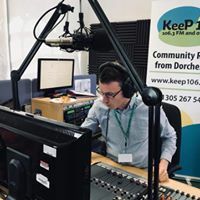 Essentially because a licence became available, but mostly because of the opportunity to fill the large gap in the types of local radio station available to this part of Dorset was irresistible! Ofcom thought so too and granted us the FM broadcast licence based on our solid business plan and company ethos. What are the hopes for the future of KeeP 106? To be financially sustainable and to grow a new kind of radio both on air and online. What kind of shows are going to be on the station? Ultimately this is up to our listeners. Initially, we will provide breakfast and drive time sequences and a wide range of music and speech programming that will inform and encourage local folk to engage in community conversations. We are broadcasting 24 hours of locally produced content every day of the year. In fact, our broadcasting licence says “Dorchester and surrounds”. With twice the FM power normally allowed and granted by Ofcom, KeeP 106 will cover a wide area of West Dorset. Dorchester is the County town and as such is a focus for many enterprises and events. Our aim is to make listeners aware of as many of these as possible, sometimes by broadcasting an event live. What has the reaction been leading up to the launch? Our test transmissions have received an excited and positive response. Social media contact shows evidence that we are likely to hit the spot for a wide range of listeners. Is there something unique that KeeP 106 will offer the local audience? Yes. Creating a discussion about local issues that do not get a decent public airing. To provide what the listeners want to hear and join in with, which is a great opportunity for sponsors to increase awareness of their enterprise. How does the Chamber help KeeP 106? 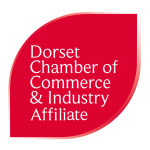 The chamber provides an important link to the part of our community who can help fund the station whilst receiving a real benefit for their business and enterprise. It also offers expert advice and accredited contacts to help us develop as a company. Is there anything you’d like to add any comments to promote KeeP 106? The ethos of KeeP 106 is to be led by what the community wants to hear on the radio. This offers an opportunity for sponsors and advertisers to target listeners who have a wide variety of tastes and would not listen to other radio stations.